NFL linebacker who recorded 140 tackles for the Seattle Seahawks in 2012, his rookie season. He became one of the team's defensive leaders in 2013 and helped lead the team to victory in Super Bowl XLVIII. He played linebacker and tight end at Colony High School in California. He was named WAC Defensive Player of the Year during his senior season at Utah State. He grew up with two brothers and one sister in Los Angeles, California. 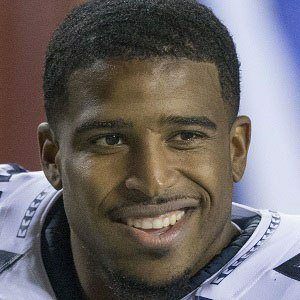 He and quarterback Russell Wilson both enjoyed remarkable rookie campaigns for the Seahawks in 2012.